Beer Apostle: Hop on Board with Grasslands' Crowdfunding Campaign! Hop on Board with Grasslands' Crowdfunding Campaign! I have been writing about Grasslands Brewing Company for almost two years now! I've written over a dozen beer reviews, featured many of their pilot batches that will soon be flowing from the taproom, and now is the time to help Grasslands Brewing Co. open their doors (officially)! Grasslands launched their crowdfunding campaign a few weeks ago with a goal of raising $30,000. The campaign currently has received over 100 backers (I am proud to be one of them) who have pledged a combined amount of more than $15,000! That's some great work, but it's not enough. That's where YOU come in! Before I lay out my top reasons why you should hop on board with Grasslands' crowdfunding campaign, you must check out the video below! Who doesn't like to get rewards? The power of incentives is real, people. Remember those shiny gold stickers other people got for doing their homework? Well, here's your opportunity to finally get a reward for doing something right! When you pledge to Grasslands Brewing Co, you're not only helping them get their start, but you'll also receive unique rewards, which can include stickers, t-shirts, exclusive bottles, and even your very own tailgate party! Rewards start for pledges of just $10, and they get bigger and better the more you give. Check out all the rewards by clicking here! Reason #4: Grasslands is good for the Earth! Grasslands Brewing Company's slogan is "Earth First Ales." Grasslands is committed to using 100% natural malts, hops and adjuncts. Additionally, Grasslands will use organic ingredients and recycled materials whenever and however possible. They're conscious of the environment and animal welfare and will utilize environment-friendly and sustainability/conservation-focused business and operation practices in all facets of the brewery. Now, doesn't that give you a whole-lotta warm and fuzzies? Reason #3: How can you say no to these faces? I mean look at this lovely couple! They easily win the cutest-couple-to-own-a-brewery award! And the rest of the crew isn't too shabby either! In seriousness, you're looking at two people who are going all-in to make this company a success. 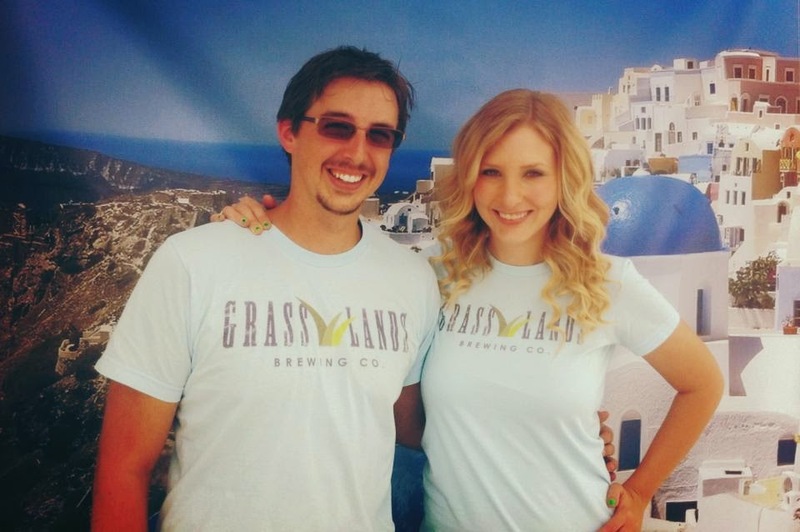 By getting in on the crowdfunding campaign, you're not just giving to a company without a face, you're contributing to the ultimate goals and aspirations that Gabe and Saralynn have set out to accomplish through Grasslands Brewing Company. Think of it this way: If you help them be able to brew good beer, you'll get to drink good beer! It's simple logic. Reason #2: Grasslands Keeps on Giving! Hundreds of people have been tasting Grasslands' brews over the past 2 years thanks to the Grasshoppers Review Club! From day one, Grasslands has proven to be a company that puts the patrons and fans first. By joining their crowndfunding campaign, you have a chance to give to a company that's been giving to us. And by doing so, they'll be sure to give some more and send rewards (see reason #5). Reason #1:You can become an Exclusive Member! Don't live in Tallahassee? No problem! One important component of the membership is that you may assign one "Trustee" to your account. This person will be able to pick up your special release bottles in the event you are out-of-town. This is a great option for folks like me who love Grasslands but do not live in Tallahassee! Well there ya have it. There are plenty of other reasons to support this campaign, but these are my top 5! What are you waiting for? 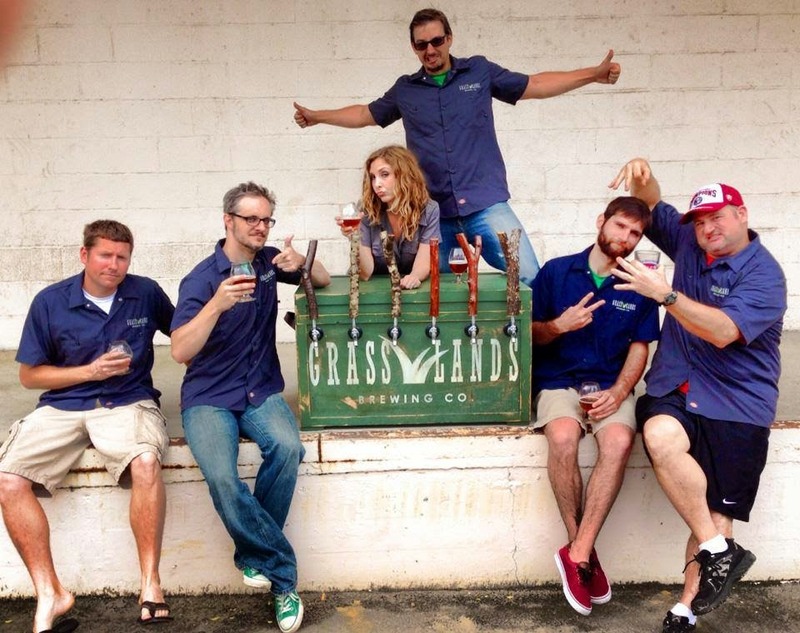 Get involved, pledge, and be a part of the foundational start of Grasslands Brewing Company! Dude...this is freakin' awesome! Thanks so much for the love, man! I have been exploring for a little for any high quality articles or weblog pakar seo posts on this kind of space. Exploring in Yahoo I ultimately stumbled upon this site Pakar Seo. Studying this information of master seo So i’m happy to Jasa Seo exhibit that I’ve a very just right uncanny feeling I discovered just what I needed. I so much definitely will Jasa Seo make sure to don’t forget this web jasa seo site and provides it a glance on a constant. I simply had to thank you so much once more. I do not know what jasa seo jasa seo I would have worked on in the absence of these creative concepts shown by you directly on that jasa seo theme. Completely was a real fearsome case in my view, however , finding out a new specialised technique you jasa seo solved it made me to weep for delight. I’m just happier for the information jasa seo and in addition sincerely hope you really know what a great job you happen to be getting into teaching people jasa seo today by way of your blog. I know that you have never got to know all of us. I could add gravitas to my words by name dropping the companies I have worked for, but that would look a bit pompous, still if you are really curious, check my LinkedIn profile. On the other hand, crowdfunding is the exact opposite of traditional funding. You start at the pointy end of the funnel,White Label Crowdfunding Software create your crowdfunding campaign and let the right people discover you. Subscribe to Beer Apostle by Email! Beer Apostle: Good News. Craft Brews. brianlittle. Simple theme. Powered by Blogger.